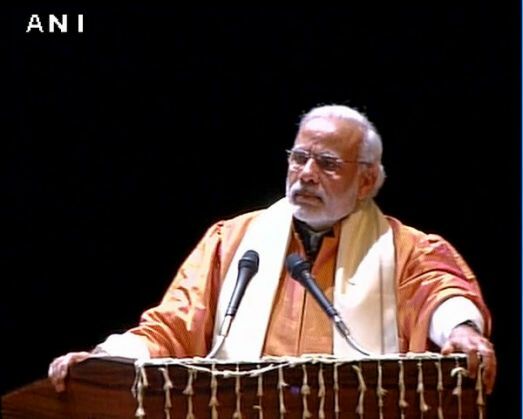 For the first time, Prime Minister Narendra Modi spoke about the suicide of Dalit scholar Rohith Vemula, an incident that has sparked off student agitations across the country. Condoling Vemula's death Narendra Modi said: "Rohith Vemula, son of this country was forced to commit suicide. What must have his family gone through? A mother has lost her son. Can there be a bigger grief that this?" Modi made this statement at the sixth convocation ceremony at Babasaheb Bhimrao Ambedkar University (BBAU) where he was invited as the chief guest. In the history of BBAU, this is the first time a sitting Prime Minister has attended a convocation, reported the Indian Express. His visit to the campus in Lucknow comes amidst raging agitations on several campuses across the country following the death of Vemula. He was one of the five Dalit students who were thrown out of their hostel in University of Hyderabad campus last month for allegedly getting involved in a tussle with ABVP President Susheel Kumar. Students have also alleged intervention by the HRD Ministry and Union Labour Minister Dattatreya in favour of Kumar. Meanwhile, the HRD Ministry has formed a judicial commission to look into the sequence of events leading to Vemula's suicide.